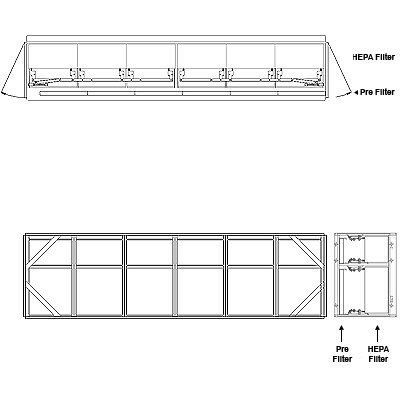 Aire-Loc Side Access HEPA Crank-Lock Filter Housing 1 1/2 High 6 Wide No Pre-Filter 28-Inch Depth | Air Filters, Inc.
Aire-Loc™”Crank-Lock” HEPA housings (SAHC’s) are designed for final OR two stage filtration. 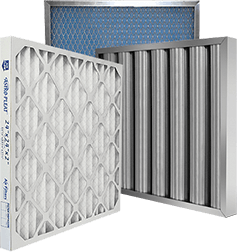 Each housing is available to accommodate no pre-filter or a 2” or 4” deep pre-filter and a 12” deep box style HEPA filter. Units are offered in three standard housing depths, 28” , 32”, and 34”. A hand cranking action drives four spring loaded plungers, applying pressure on filter by compressing the gasket against the filter’s frame keeping the filter tightly sealed.